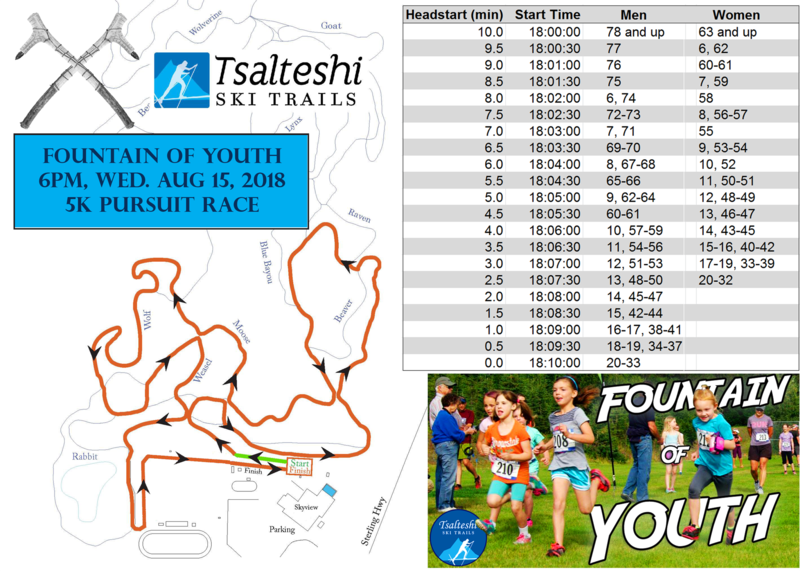 Essentially a sixth Salmon Run, this 5k, pursuit-style race follows previous years' format with head starts based on your age and gender. That means anybody could win! To get your head start you MUST register online. Race-day registrants will start in the LAST wave. Don’t like the idea of being “pursued?” Do you want to run with a friend or family member with different demographics? No problem. Just check the box indicating you would like to start in the last wave, and you will get the regular timing format we all know and love. New this year! The Fountain of Youth is organized and sponsored by Kenai Peninsula Relay for Life. All proceeds and donations will go to the American Cancer Society!